Holi is around the corner, and what’s the better way to start the celebration than drooling over these delicious festive sweet treats. India is a country that celebrates a whole lot of different festivals. Andwhen it’s come to holi, it brings along with it lots of colours, water guns, balloons,dance on old- new Hindi songs, and plates filled with delicious sweets and snacks. 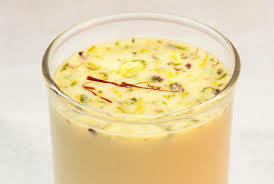 We have listed few holi sweets, which you can relish this festive seasons. And like the way we play with colours on Holi,why not play with these sweets by doing something creative with it and lay-out an impressive spread that makes it more appealing. The traditional gujiya‘the real queen’ of Holi sweets, is made up using maida flour for covering and stuffed with a delightful mixture of khoya, dry fruits and powdered sugar, and fried in desi ghee till crisp. This popular sweet dumpling is one of the best sweets during this festival and undoubtedly one of the finger-licking sweet you ever had. Varieties of gujiya are sold in the market during this festive season with a modern twist in their filling named as chocolate gujiya, coconut gujiya, baked gujiya etc. It is a deep fried, soft, fluffy, yet crisp melt-in-mouth pancakes coated with sugar syrup often served with rabri. When topped up with a dash of dry fruits makes it even more alluring. 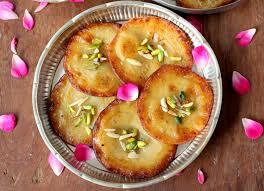 This is also one of the traditional north Indian sweet, loved across India and is heartily enjoyed during Holi. 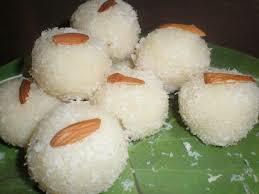 A sweet made up of coconut and condensed milk, shaped into round balls and rolled in desiccated coconut asa garnish is a must-have sweet on holi. To make it more festive and colourful, add a drop of different food colours to the coconut mixture and makea yummy eye drooling ladoos to grab on one bite. 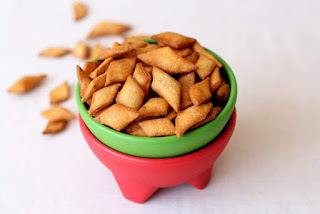 This is a popular snack often made during holi festival. This sweet and crispy shakarpara is made up of maidaand wheat flour, deep fried in ghee and coated with sugar syrup. This crunchy inside and soft outside yummy bites, add crunch to this festival. Jalebi, kheer, halwa, gulab jamun, kulfi, barfi and what not. The list will go on as holi is a season of love, craze, colour, fun and of course yummy snacks and sweets. 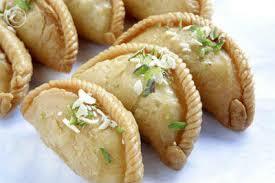 Invite your near and dear ones and treat them with these yummy holi desserts. After all, Holi is a perfect excuse, which we only get once a year to enjoy all these delicious sweets. So, this Holi be ready for an overdose of all these sugary sweets and gifts lined up for you and enjoy this festive season. Happy Holi everyone!